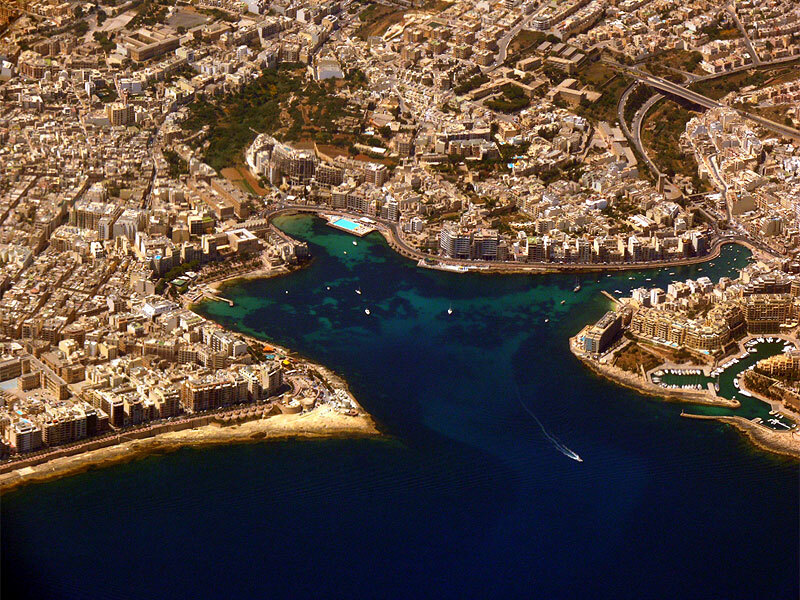 An overview of beaches on the maltese islands. 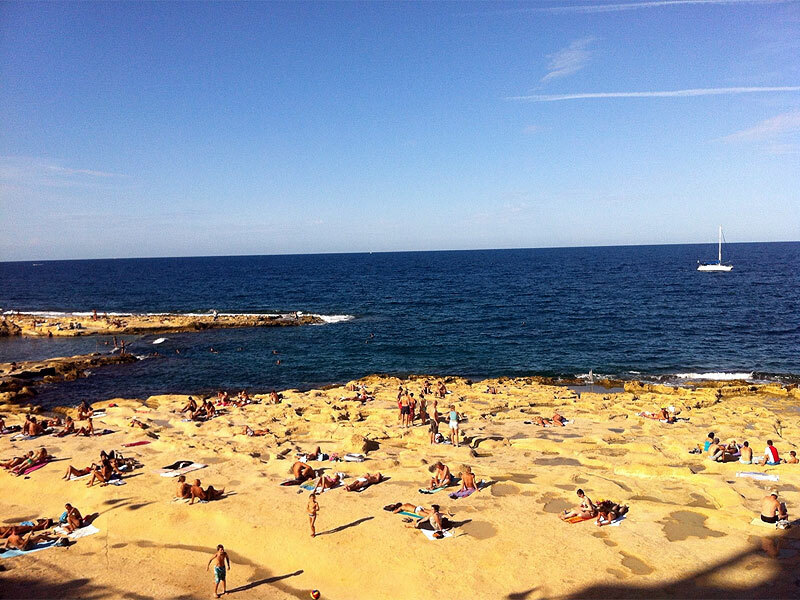 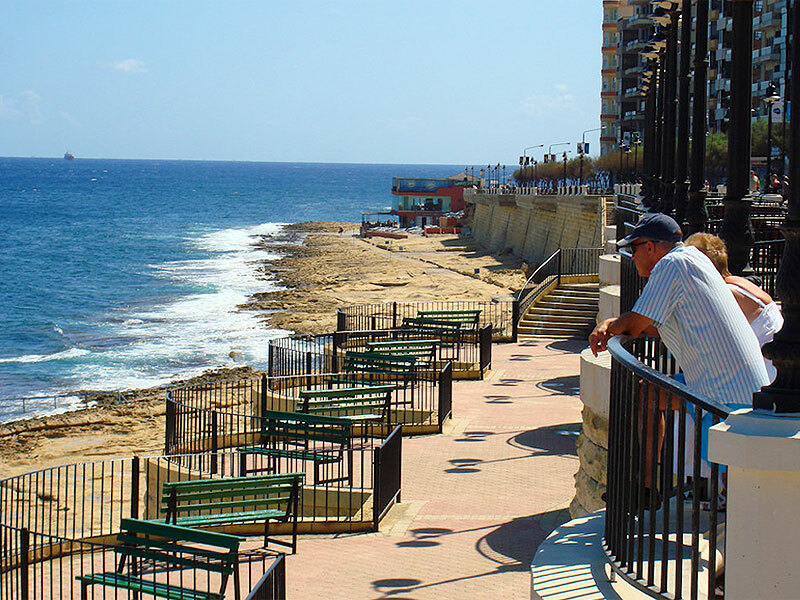 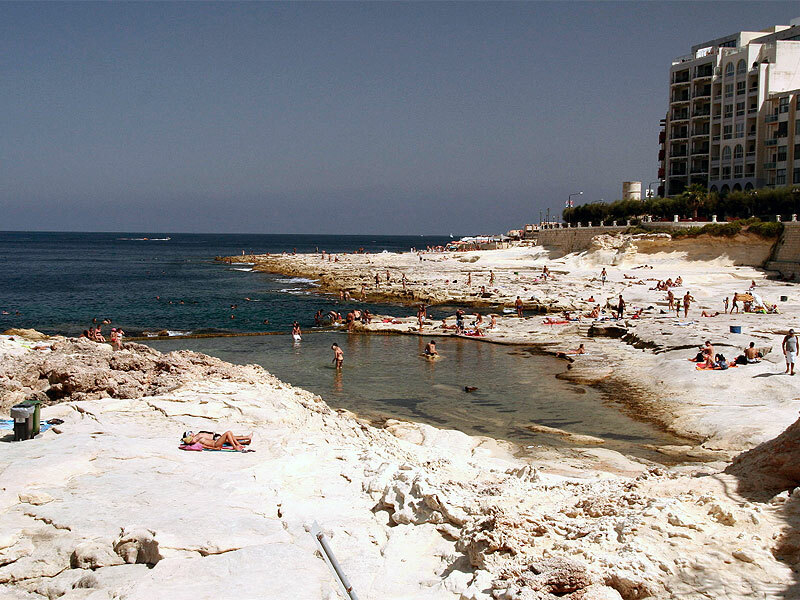 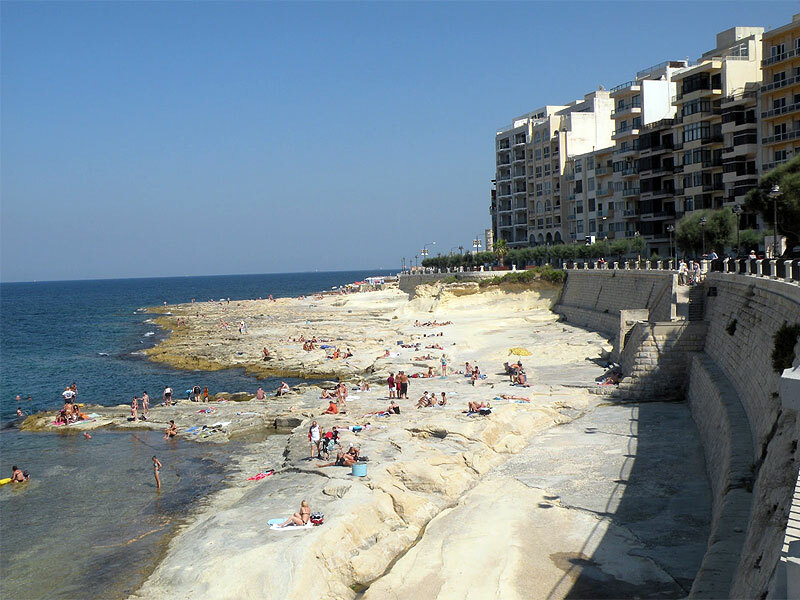 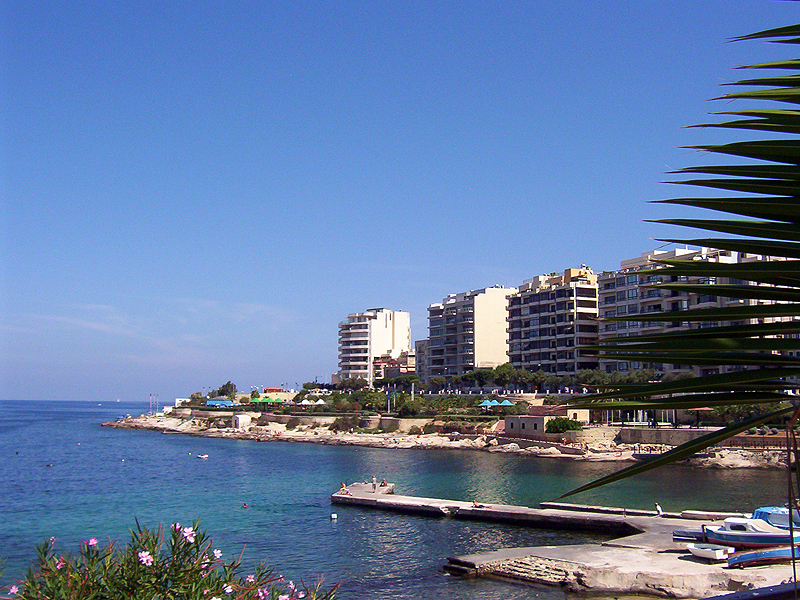 This rocky beach is located in central Sliema, just below a local playground and an old watchtower. 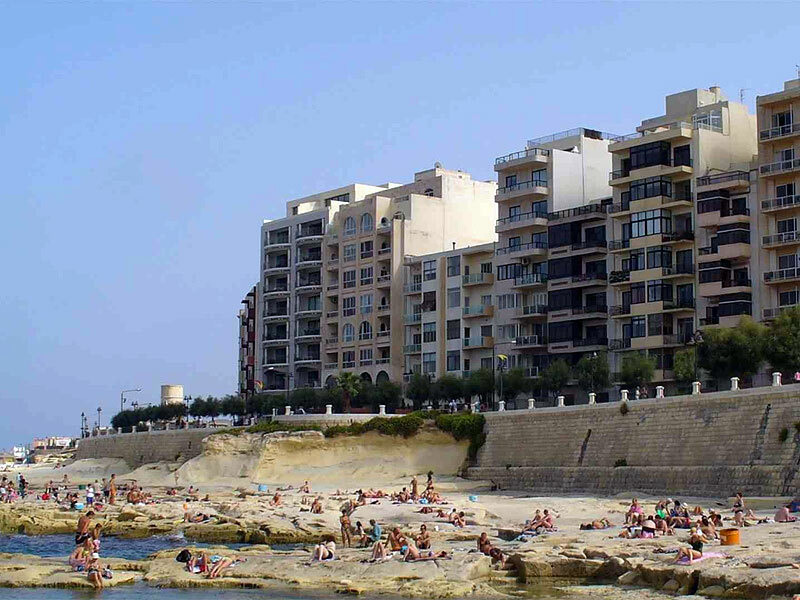 It is easy to get to, by car or bus, and with some patience parking space can be found as well. 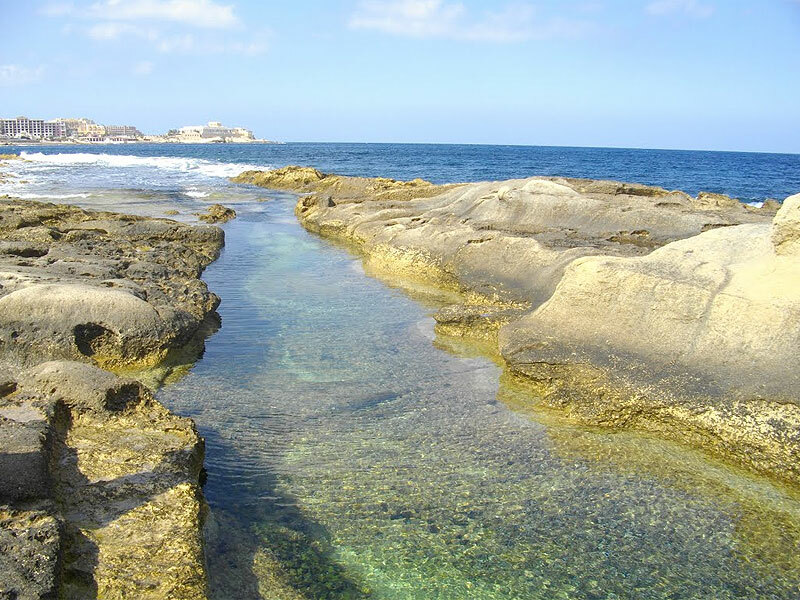 The sea is very deep so it is ideal for divers and those of us less professional who still like to splash about in the sea. 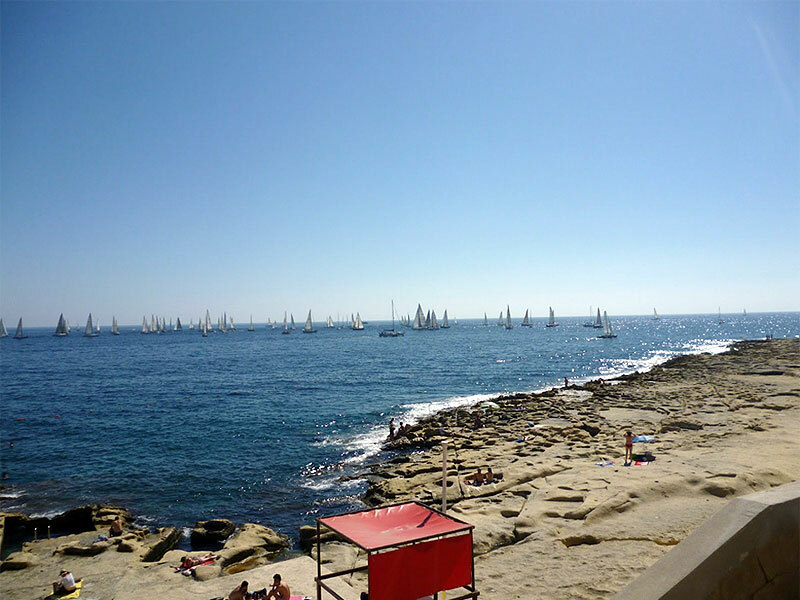 There is a Water sports centre located at the beach where you can get all the equipment and lessons necessary for scuba diving. 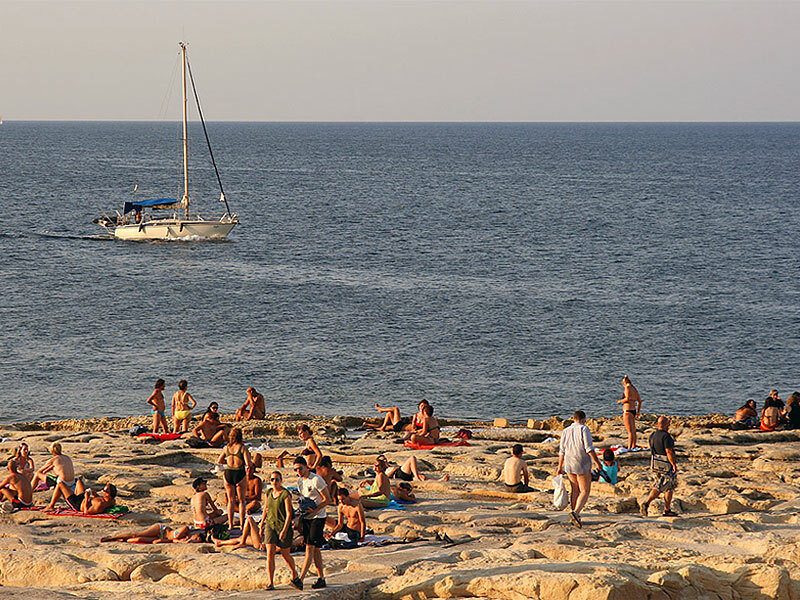 At night you can also opt to take a blanket and a bottle of wine and listen to the sounds of the waves rushing in and gaze at the stars.